“Excellent Work. Project: Refinishing Wood Flooring. I can’t give Cody (and his wife who also helped) enough praise for the absolute amazing job he did on our 7 floors, 2 landings, 1 hallway and 44 steps!…We have already decided to have Cody back next year to finish off our third floor. This was a MAJOR job and Cody was extremely courteous, informative, and highly professional. You will be very satisfied with his work. He is very talented.” Shaun M.
If you live in or around Bloomsburg and are searching for a locally owned and operated hardwood floor company, look no further than Classic Touch Hardwood Floors. As you no doubt can tell from the above testimonial, we are experienced central Pennsylvania hardwood flooring contractors who bring a blend of professionalism, integrity, friendliness, and affordability to the table. 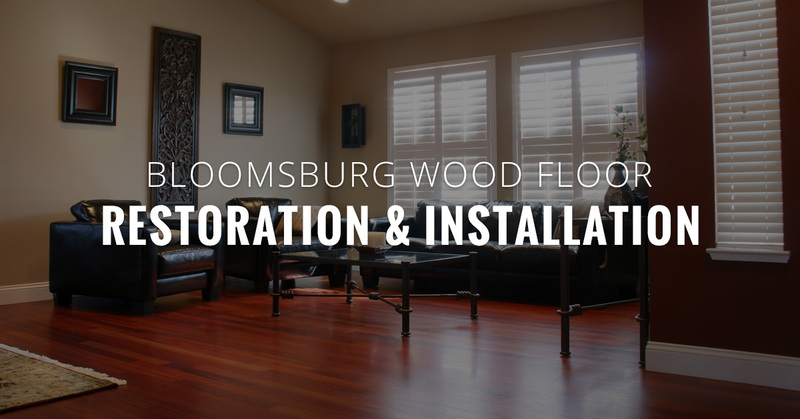 Below you will find a variety of hardwood flooring services we are proud to offer the Bloomsburg community. Our bread and butter is our hardwood floor installation. 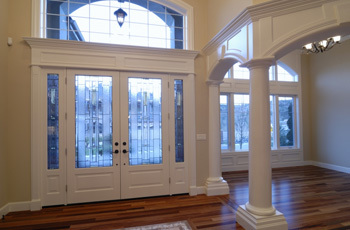 When it comes to selecting a new hardwood floor for you house, you have options at Classic Touch Hardwood Floors. If you are interested in pre-finished hardwood, bare hardwood, or half-inch to three-quarter inch options, we have a look that will align with your vision. Keep in mind that we love to hear our customers’ vision for their floor, so we can team up to formulate a custom hardwood floor plan that is unique to your home. If you are worried about your current flooring setup becoming a problem, we are experienced in removing carpeting, particle board, and an array of other potential inhibitors. We also offer glue-down hardwood flooring as an option, so there isn’t anything to stop you from getting a brand new hardwood floor! If wood floor installation cost is a concern to you, give us a call to get your free quote. We are confident you will find it competitive and affordable when compared to other flooring contractors. If you are looking for a more affordable option, our dustless floor sanding and hardwood refinishing services are exactly that. Dustless sanding significantly reduces the total dust output of your floor and home, and therefore is a popular choice for those of us who have significant dust-related allergies. Once the sanding is complete, the stain of your choice is applied. Finally, three coats of finish are laid down to make sure the glow of your refinishing project lasts for years to come. While we are talking about staining hardwood floors, our customers should know that we use high quality, fast drying stains which not only look great upon completion, but will last for the long-haul. If your hardwood floor has lost some of its former glory and shine, an excellent, cost-effective option is our hardwood floor restoration and repair service. We lightly sand the floor, thoroughly clean it, and finally apply a fresh coat of finish. Give us a call to determine whether your best bet is to repair or replace your hardwood floor. We love to help Bloomsburg residents out with our dedication to excellence and putting our customers first. Reach out to us for your free estimate!